After more than 100 years in one spot, Idaho’s largest giant sequoia is settling into its new home. BOISE - A 10-story-tall tree moved two city blocks on giant rollers last summer has passed its first checkup. 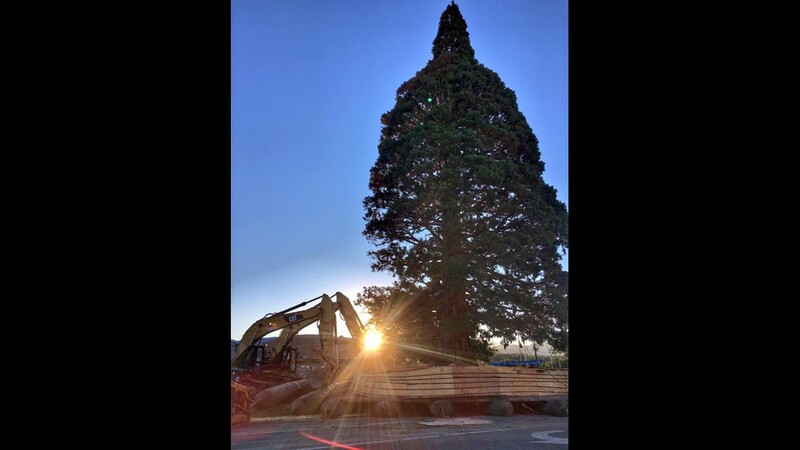 Tree mover David Cox of Environmental Design examined the 800,000-pound (363,000-kilogram) sequoia on Wednesday and says there's new growth and overall the tree is looking good at its new location in Boise, Idaho. But he says he's a bit concerned about some broken bark and smoothed-over bark near the base that might have been caused by animals or vandals or somebody climbing. Although it's mostly so far so good, Cox says there is still a lot of work to be done. "Because it's such a large tree and because we can't really judge the success for a transplant for the next three to five years, we will have a monitoring program that will be on going that we will check three or five times a year," said Cox. Naturalist John Muir sent the tree as a seedling to Boise more than a century ago where it was planted in a doctor's yard. St. Luke's Health System in June paid $300,000 to move the largest and most notable tree in the city's urban forest to make way for a hospital expansion.